Hannah is back from her 4 months in USA. She was able to catch up on school and complete grade 10. Suzy, Agum and Jed traveled to Kenya to meet her and take a short break. 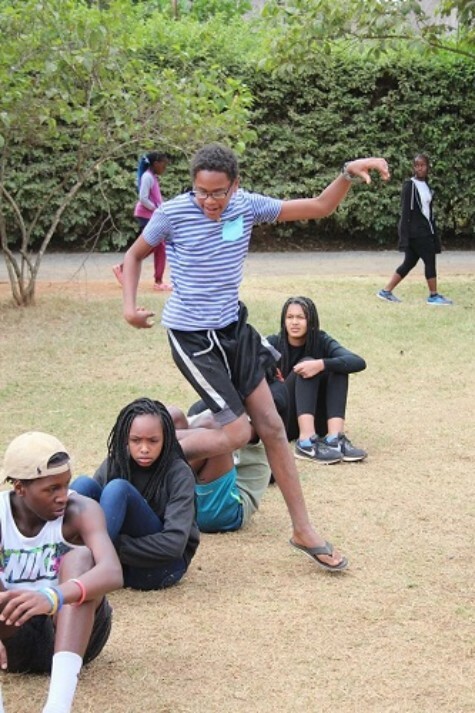 While in Kenya the kids spent a week at Camp BlueSky. 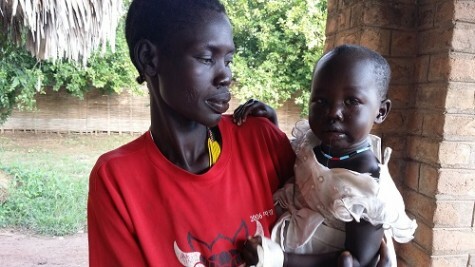 With the new ward building and more volunteers arriving, Sabet decided to stay in Tonj. During this time, Dr. Dave Pierce came for 4 weeks to help cover the busy malaria season in the clinic and to help us with the profiles for our upcoming ‘Pastor Sponsorship’ program. The launch of this program should be ready in the next few weeks, so if you’re interested we will be sending more details next month. Dave also spent countless hours working on the solar power requirements to give our clinic and new ward adequate power throughout the day and night. This upgrade will hopefully eliminate the need to use the generator which is so costly. In addition to Dr. Dave we had a small team volunteer for a week from Medical Teams Worldwide, who are now partnering with IDAT. 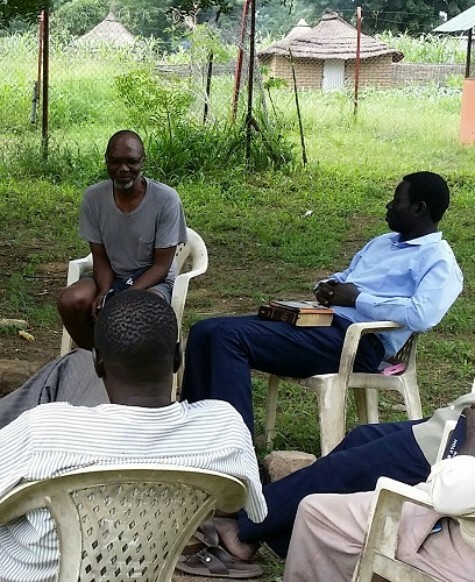 Dr. Kelley served in the clinic, Babu taught a leadership workshop to the elders of CC Tonj and Eric began preparing a foundation for Dr. Kelley’s module home so he has a permanent place to stay when he comes. Our new ward is just weeks from being finished. It will have 20 beds which is more than double of the capacity we currently have. Over the past few weeks we have had to house in-patients in our devotion room, maternal waiting home and on the verandah’s! We thank God for Travis and his team that have worked tirelessly to get this project finished in just 5 months. The National Minister of Health is flying from Juba with 10 officials and a television crew to attend the opening ceremony. 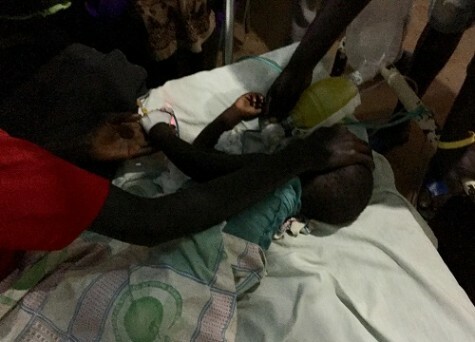 Achol being treated at the clinic. After sending the urgent prayer request through instagram (IDATSUDAN), she immediately started to improve and went on to make a quick and full recovery! Achol 12 hours later! Happy and healthy. It’s hard to believe our family is coming to the two-year mark of being back in South Sudan and making plans for our next home assignment from December through March. We are excited to see our family, friends and ministry partners. We are willing to travel and would LOVE the opportunity to share with your church, small group, bible study or fellowship. If you are interested in having us visit, please email suzy@indeedandtruth.org to make arrangements. We are in need of accommodation in San Diego in January/February and also in need of a car to use in CA and FL. Please email us if you can help with any of these needs. It has been a blessing to have witnessed your activities and to join in celebrating service with you in Calvary chapel. I was blessed to have sat under you and Dr. Dave and Majok’s father David to listen to your preachings in the book of Acts of the Apostles and in several books of the Bible. I saw how hardworking is your ministry and how our community of Tonj is benefiting. May the Lord always bless your works and your family and friends who tirelessly work for the benefit of our Community. I also love to express myself and heartfelt gratitude and happiness to you and your colleagues. You’re not only treating, evangelizing but also raising up future leaders. Continue with that spirit. My cousin is one of those benefiting in your clinic. He joined as a chw volunteer and he is now medically growing. Thanks for that. He is Angelo Majok Mourter who is also known as Marcelo Taban Nyibol.